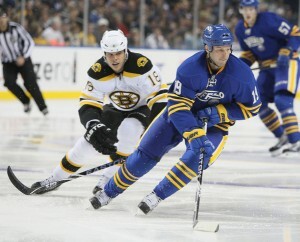 Toronto Maple Leafs: Winners or Losers of the 2011 Off-Season? Follow Lukas on Twitter @LukasHardonk for more Maple Leafs coverage. The Toronto Maple Leafs began their rookie tournament last night against the Chicago Blackhawks in Oshawa, Ontario. Playing for the Leafs this weekend is 2011 sixth round draft pick David Broll, who was just one of many additions to the Leafs this summer. Also coming to the blue and white were Tim Connolly, Matthew Lombardi, Philippe Dupuis, J0hn-Michael Liles and Cody Franson. Clearly, the roster has greatly improved since the final buzzer sounded on the 2010-2011 season. However, we have seen this exact same thing before from the Leafs. But despite looking like a strong team on paper heading into the 2011-2012 campaign, did Leafs general manager Brian Burke really make all the right decisions? Well, he got as much as he could. As every knows, Brad Richards was quickly signed to a nine-year, $58.5 million contract by the New York Rangers. That same day, the Maple Leafs locked up Tim Connolly to a two-year contract worth $9.5 million. With such a thin crop of centres to choose from, the Leafs still needed someone to play between Phil Kessel and Joffrey Lupul. Connolly was widely considered as the next best centre and the Leafs made sure he was theirs. Now the Leafs have a centre that, if healthy, should be able to help Kessel reach the 40-goal plateau, which is something the three-time 30-goal scorer has yet to do. The Leafs weren’t done there, though. Just one day later, the team made two more additions; one defenceman and another centre: Cody Franson and Matthew Lombardi. Lombardi is another forward that has experienced injury problems recently. He played in just two games last season before suffering from a concussion that kept him out from the remainder of the regular season and playoffs. It’s said that Lombardi is symptom-free and will be ready for training camp on September 16, but nothing is ever 100 percent when it comes to concussions. If the 29-year-old is ready to go, the Leafs will have a solid third line centre that may challenge for a top-six spot this season. He will likely be a staple on the penalty kill while lending a hand on the power play. Franson, meanwhile, is 100 percent healthy. He played in 80 of 82 games in 2010-2011 and finished with eight goals and 21 assists to go along with a plus-10 rating. Despite showing “problems defensively when forwards spin off of him down low” according to McKeen’s scout Brian Huddle, Franson is still a nice addition. As shown by his statistics, Franson is more of an offensive defenceman who will benefit the power play more than anything. However, he is starting to become more of a complete defenceman that can handle top-four minutes. John-Michael Liles, the other defenceman that joined the Leafs during the summer, was acquired by trade with the Colorado Avalanche. Like Franson, Liles is more of an offensive defenceman. In 76 games last season, he scored six goals and assisted on another 40. Those statistics, combined with his experience and leadership abilities, have led many to compare him to Tomas Kaberle, who departed for Boston last season. The trade that sent Kaberle to the Bruins opened up a big hole on the point on the power play for the Leafs, while the loss of Tim Brent resulted in a similar impact on the penalty kill. The Maple Leafs set out to not only fill those two holes, but to build both the power play and the penalty kill as a whole. It should be clear to everyone that by adding Connolly, Lombardi, Franson and Liles─all of whom have a strong ability to play both sides of the puck─the Leafs improved in both areas. So as far as offence, defence and special teams go: Yes, you can place the Leafs under the ‘winners’ category of the 2011 off-season. One spot that people can’t be so sure about, though, is in net. Although he showed last season that he is an outstanding goaltender, no one is sure just how well James Reimer will play. He is headed into his sophomore season at just 23 year of age as the No. 1 goalie of the Toronto Maple Leafs. That is where the loss of Jean-Sebastien Giguere might actually sting. No matter how much he denied it last season, one would have to believe that Giguere did play a role in how well Reimer played last season. When Reimer was down, Giguere provided him with a veteran goalie who could help him through rough patches. Now, with Jonas Gustavsson as his backup and no other experienced goalie in the Leafs’ organization, it’s all up to Reimer. What does that say about Burke, Ron Wilson and Leafs management? That they believe in the kid, which could turn out to be crucial this season. Even without a goalie that has proven he can backstop his team to the playoffs, it’s clear that the Toronto Maple Leafs were all around ‘winners’ off-ice this summer. Now their only worry is to get Luke Schenn re-signed as quickly as possible, and end a six-year post-season drought. For every Leafs article on THW, follow @THW_MapleLeafs on Twitter.